You know what it’s like, you think you have time on your hands and before you know it, Christmas comes around and you wonder where the year has gone! We’ve had some amazing events at the Batemans Visitor Centre in 2018, so we’re already planning our most enjoyable and popular events for 2019. Get your diaries out and make a note of these dates now. 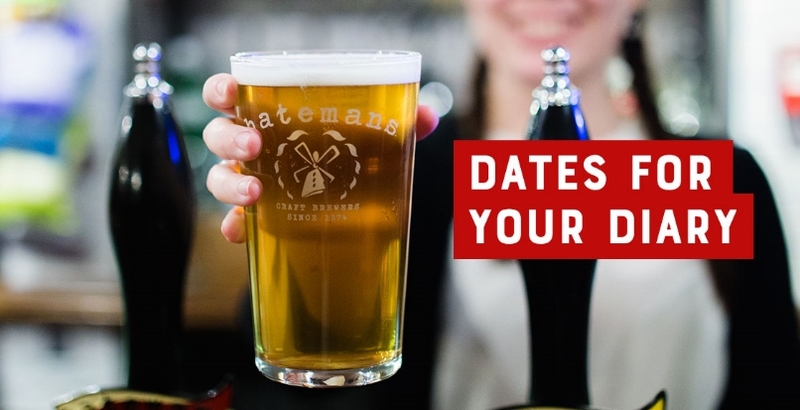 We’d love you to join us as we embark on another exciting year at Batemans Brewery. Further information will be available on our events page, so be sure to check in nearer the time.